The 1st of August is very special day in the life of a thoroughbred horse in the Southern hemisphere, as it’s their birthday! Horses in the Southern hemisphere all celebrate their birthdays on August 1, whereas horses in the Northern hemisphere all celebrate their birthday on January 1. This collective birthday coincides with the racing seasons and allows the standardisation of their age when entering in races, due to the lack of records of actual birthdays. 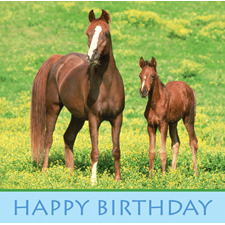 On a horses first birthday in August they are considered a yearling, and are counted to be one year old, however they may have been born several months earlier. This year the party will be getting started at the National Sports Museum as they plan to throw a birthday party for renowned racehorse Subzero, to help celebrate his and all the other horses special day!